Can you make a difference with just five questions? So, can five questions really make a difference? You tell us. Here is the new mission statement of the AMTA Mass Chapter. Do you think this vision can help us affect our profession and our world? We inspire, educate, empower and advocate for the massage therapy community. We chose inspire because we believe our professional association should and does inspire both massage therapists and the massage community by upholding the highest personal, professional, and leadership standards. We also chose the word inspire because we seek to encourage the individual growth and unique gifts, goals and ideals of each massage therapist in Massachusetts. As a membership we educate each other, health care professionals and the general public on the benefits of massage. We believe in our work. We believe in the impact and the power that massage has upon the body to restore itself to homeostasis. We believe that through education and research, massage therapy will be brought to the forefront in health care. From affordable education to assistance finding health insurance, the Mass Chapter has created an unparalleled package of benefits that allows members refine their skills and to run their businesses with confidence. We've also been a leader in creating communities on our Blog, Facebook, LinkedIn and Twitter to foster conversation, networking and socializing between members and all massage therapists in the state and across the country. The Mass Chapter is a passionate supporter of the Massage Therapy Foundation and their efforts to advance the knowledge and practice of massage therapy, empowering us all to use credible research and evidence-informed massage in our work. The AMTA has been long working on portability and reciprocity for massage therapists. Here in Massachusetts the AMTA continues to fund a lobbyist to help us better define our law where needed and continue to advocate for our members where the law is concerned. What does this mean to you, a massage therapist in Massachusetts? We'll continue to bring you top-notch, affordable education. We'll keep providing opportunities for you to converse, both in person and virtually, with your colleagues and leaders in the profession. Our philanthropy will not waiver and our variety of benefits will only increase. In the coming months we'll also be polling Massachusetts massage therapists, school staff, students, researchers, medical professionals, clients and our partners and businesses in the massage industry, to find out what more we can be doing to serve the expansive and diverse massage community in Massachusetts. 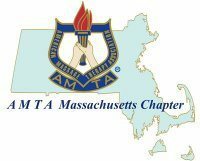 Thank you for allowing the AMTA Massachusetts Chapter to serve you, and for being part of the vibrant community of massage professionals in Massachusetts.